Offering a wide range Cone Screw Mixer completes uniform mixing through electromotor driving the helical ribbon with screw agitator by reducer to rotate with the outside spiral belt lifting the material from down to up along with cylinder wall in mixing chamber and inside screw dislocated cutting the central material from up to down, enabling material to interdiffuse, convect, cut, dislocate and mix in the cone-shape mixing chamber for promoting the material to make the abnormal compound exercise from full orientation space. The agitating parts of this series mixer are relatively simple with helical blades out of a principal axis driving the material from up to down and outside spiral belt distributed by cone-shape, jointing closely with cylinder to lift the material from bottom to up. The cover of this mixer can be made as full open type in the small scale production place in order to feed material manually and clean the interior of device by users. We are a leading Manufacturer & Exporter of The High Speed Mixers PMI high speed mixer is made from very high grade raw material which ensures free work performance at its user end. These high speed mixer are available at very competitive or market leading prices .Our High Speed Mixers gives high Mixing Accuracy. Our High speed mixer helps in achieving uniform blending and mixing. 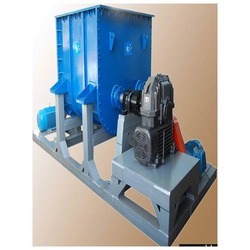 The Paddle Mixer are used for continuous mixing of a wide range of materials of medium to heavy viscosity, where dry material is mixed with binders or liquids. We Design the , Manufacture & supply the Paddle Mixers based on costumer demand. These mixers are manufactured using high-grade raw material, which is procured from the reliable vendors of the market. Moreover, the mixers offered by us are known for their high performance, reliable functioning and efficiency. 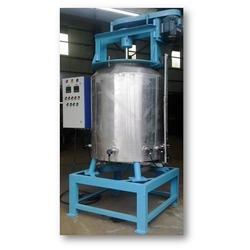 Moreover, we test these mixers on various well-defined parameters so as to ensure their superior quality and quality. Some of the special features which we give to the product while manufacturing are it is easy to maintain, flexible, durable. This is designed in such a way that it is easy to access by the customers and the paddles can be replaced if there is any damage. 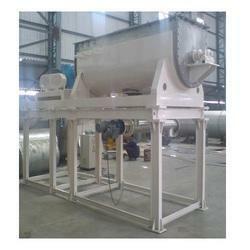 The Plough Shear Mixer is a high speed mixer with high homogeneity. During the mixing process, the raw materials are transferred around the drum in a radial, lateral and longitudinal movement by the high speed plough shears and choppers. Moreover, the mixing time is short, especially for free flowing powders or granules. Liquid additive and Heating or Cooling is also applicable. Plough Shear mixers is widely used in the mixture of chemical materials, pigment, pharmaceutics materials, feedstuff, especially in the mixture of fragile solid grain; In a short time, the Plow mixers has good mixing effect for the materials which has a great difference in grain and density. 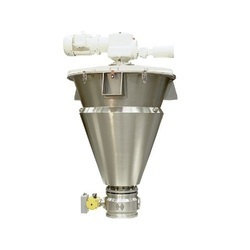 The Sigma Mixer is also referred as kneader and is used in food industry, pharmaceutical industry, soap industry and chemical industry at large. 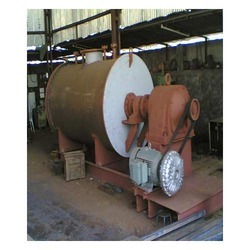 These are used to solve the purpose of mixing and kneading highly viscous materials. Kneader consists of different blades moving at different speeds in opposite directions to properly mix the carrying material. We manufacture sigma mixer from high quality stainless steel and also cater to the needs of customized manufacturing of sigma mixer.